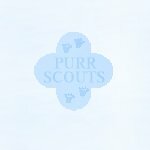 Welcome to the offical store of the Purr Scouts! Come on in and browse awhile! Should you require any assistance, PS Store Manager Squeaky will be happy to help you! PS Assistant Store Manager Leo Curry proudly displays the offical Purr Scouts birdwatching equipment! Purr Scouts LOVE watching birds! Please stop back again sometime! We will be adding new selections in the future! A Big Purr Scouts' thank mew fur dropping by!